The Best Solution to Free Download HQ MP4 Movies for iPhone 6/6s (Plus), 7, 8, X, XS, XS Max, XR. The reason why we write this article – Where and How to Download HD MP4 Movies Free for iPhone is that many related questions are asked in Yahoo Answers and other communities. iPhone is definitely ideal movie player due to larger screen size, sharper display and other surprising features. If it is possible to download free MP4 movies for iPhone, you can enjoy movies on your commute or travel. And in this post the best way to download MP4 movies for free for iPhone will be introduced to you. -	Where can I download free mp4 movies for my iPhone? -	What are some websites where I can download free mp4 movies? -	How do I download movies for $0 to iPhone? -	Can I free download films on my iPhone and how? With WinX YouTube Downloader and Converter, a Windows-based, safe and all-rounded desktop video downloader and converter, you can download/convert HQ MP4 movies, even 4K/8K videos, to PC, iPhone 6/6s Plus/7/8/X, iPad, Android, etc. >> How to free download HD MP4 movies for iPhone 6/6s Plus/7/8/X/XS/XS Max/XR? >> How to download movies from computer to iPhone 6/6s Plus, 7/Plus, 8, X, XS, XS Max, XR? Why Choose to Download MP4 Movies for iPhone 6/6s (Plus)/7/8/X/XS/XS Max/XR? Videos downloaded from online websites are always in FLV, WebM and MP4 file format. However, there are enough reasons to persuade you to download movies in MP4. * MP4 is widely supported by iPhone, iPad, iPod, Apple TV, Android, Sony, Microsoft and more. 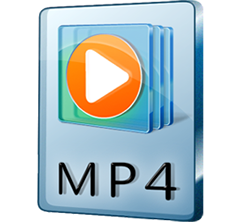 * MP4 can deliver relatively better video audio quality in same file size. So if you download MP4 movies, you can watch free movies on iPhone (6/6s Plus), Apple TV, iPad and almost all devices. Where to Download MP4 Movies for iPhone 6/6s/7/8 (Plus)/X/XS/XS Max/XR for Free? Free movie apps for iPhone allow you to watch movies online for free, not working for MP4 movie download. Leaving aside only old films are available for members, you may be fed up with annoying ads, buffering and maybe virus. Once MP4 movies are downloaded on iPhone 6/6s/7/8 (Plus)/X/XS/XS Max/XR, you can finish a full movie in one sitting. And the best place to download MP4 movies for iPhone 6/6s/7/8 (Plus)/X/XS/XS Max/XR is YouTube. YouTube is the most popular video sharing center, covering all kinds of videos, like funny cartoon videos, official music videos issued by Shakira, Jennifer lopez, John Legend, PSY, etc. Not only that, you can find some full movies with high definition. If you find a movie you want to download for bigger and faster iPhone 6/6s/7/8 (Plus)/X/XS/XS Max/XR, just follow the guide to learn how to download MP4 movies for free. How to Free Download MP4 Movies for iPhone 6/6s/7/8 (Plus)/X/XS/XS Max/XR? As mentioned above, YouTube is a perfect site to get movies for iPhone 6/6s/7/8 (Plus)/X/XS/XS Max/XR. Only a YouTube video downloader is required to achieve MP4 movie downloading. And WinX Free YouTube Downloader is a good tool to deserve recommend in that it is frequently updated to allow users to download any YouTube video to MP4, FLV, WebM, be it a standard video, HD video, 1080p HD video, 4K UHD video or 3D video. Besides, it is available to free download MP4 movies for iPhone from other 300+ sites like Dailymotion and Metacafe. Thanks to the straightforward and clean UI, you can free download MP4 movies for iPhone 6/6s/7/8 (Plus)/X/XS/XS Max/XR from YouTube in a simple way. Multi-thread and Multicast Technology ensure that movies can be downloaded in 5-8x real-time download speed. 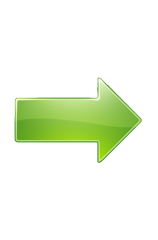 Just free download this YouTube downloader and move to the following guide. Free download MP4 movies to PC and then transfer to iPhone. Download & convert MP4/FLV/WebM on PC to play on iPhone. No download option is ready, nevertheless, you can download videos online with the help of an online video downloader. Some downloaders are powerful yet free, like WinX Free YouTube Downloader recommended above. Follow the guide here and thus you can easily download MP4 movies for iPhone 6/6s/7/8 (Plus)/X/XS/XS Max/XR. Step 1. Add the movie URL in YouTube by clicking chain-like button. To find your target movie quickly, you're advised to use "movie name + full movie" as the keyword for search. Step 2. Analyze URL and specify the resolution you preferred. By default, it downloads videos in MP4 format from YouTube. Different video resolutions deliver different file sizes. If you have enough space to store your MP4 movie in iPhone 6/6s/7/8 (Plus)/X/XS/XS Max/XR, you'd better choose the one with highest resolution. Step 3. 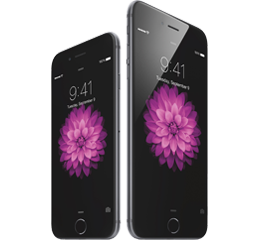 Click Download to begin downloading free MP4 movies for iPhone 6/6s/7/8 (Plus)/X/XS/XS Max/XR. You can know more about how to download movies to iPhone Free. How to Download Movies from Computer to iPhone 6/6s Plus, 7/Plus, 8 (Plus), X, XS, XS Max, XR? WinX YouTube Downloader enables you to download MP4 movies to computer. But how to download/transfer movies from computer to your iPhone 6, 6s, 7 or other generation? Just try WinX MediaTrans which is available to free download/transfer 10 movies from computer to any iPhone model per day! Thanks to built-in auto convert feature, it can convert and transfer movies in iPhone incompatible formats like AVI, WMV, 3GP and MKV to MP4 for playback on iPhone. What's more, it comes with an auto rotate function to help you convert movies in vertical to horizontal automatically during transfer for full-screen playback on iPhone! What Is MP4? How to Convert MP4 Video? Free Download MP4 HD Movies for iPhone with WinX YouTube Downloader.